Our world revolves around water. We drink it, grow crops with it, harvest food from it, wash in it, try to control it, use it to make things and generate power, travel on it, build bridges over it, pollute it, clean it up, fight over it, play in it and more. 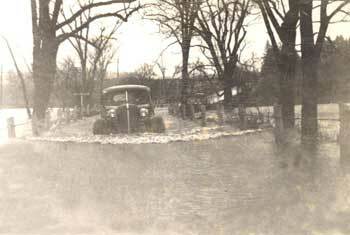 A car on flooded Route 197 in North Woodstock, 1936. Never drive through floodwater, as it could be far deeper than it looks. You can see more historical water-related photos at Palmer Hall in Woodstock, Sundays from 12-4 p.m. from May 24-September. Photo courtesy Woodstock Historical Society. Water covers about 70% of our planet (Source: USGS). “Only from space can you see that our planet should not be called Earth, but rather Water, with speck-like islands of dryness on which people, animals, and birds surprisingly find a place to live,” noted cosmonaut Oleg Makarov. Water can be especially precious in deserts, which usually get less than 9.75 inches of a rain a year. (In Connecticut, we average about 44 inches per year, which is actually more than Seattle. [World Almanac, 1988]) In the “documentary” Animals Are Beautiful People , a bushman in the Kalahari desert uses a monkey to locate water. While a monkey watches, he puts salt into a hole drilled into a termite mound. When the animal tries to pull the salt out from the mound, the bushman rushes over, throws a rope around the monkey’s neck, ties him to a tree, and then lets it eat lots of salt. Afterwards the monkey leads him to hidden sources of water. I don’t know if this is true or not, but it’s a great story nonetheless. Yet we take it for granted in many parts of the U.S. An American taking a five-minute shower uses more water than a typical person living in a developing country uses in an entire day. (UN, 2006) Water “rights” are a serious issue in the more arid regions of North America. Forty percent of the freshwater used in the U.S. is for irrigation (USGS). I was told it is illegal in Colorado to collect rainwater on a roof to water gardens or lawns. Watch the wonderful movie The Milagro Beanfield War to get a feel for the difference water supply can make to a community. About ten people die every day in the U.S. from drowning. According to the Center for Disease Control, the major risk factors are lack of barriers or supervision (e.g., a child drowning in a bathtub or bucket), age, poor choices while boating, alcohol use, and seizures (CDC 2005). 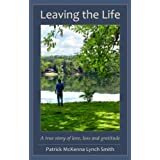 My father drowned, and my mother was almost killed when a drunk speedboater crashed into and sank their boat in the Bahamas. Every year people lose their lives driving through floodwater. Even in six inches of water, you could lose control of your car or it could stall. Two feet of rushing water can sweep both you and your vehicle away. The Woodstock Historical Society is offering a fascinating retrospective of the role water plays in our lives. The display showcases photographs, documents and objects demonstrating how water affected life in Woodstock through the years. It opens on May 24, and can be viewed through September 2009 for free on Sunday afternoons from 12:00-4:00 p.m. at Palmer Hall, 523 scenic Route 169 in Woodstock, CT.